Outside step garden tub. 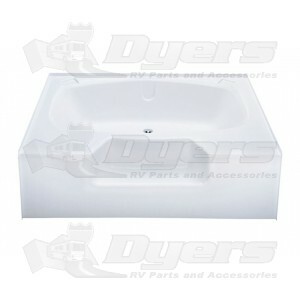 Made of 1/8" thick thermoformed ABS plastic with foam base and permanently attached support pieces with legs. Center drain, non-skid tread surface. Will not peel, chip, or spiderweb. Overall Height: 17-1/16".